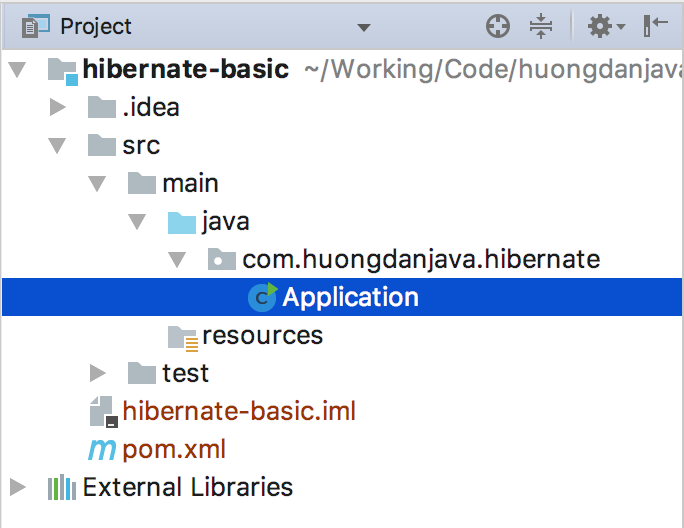 Hibernate, as I say in this tutorial, besides implementing the JPA specification, also implements its own framework for connecting and manipulating with database management systems. In this first tutorial about Hibernate, I will go straight to an example of using Hibernate to get database data, then you guys can imagine about the Hibernate and how it works. What is the difference with Hibernate implementations for JPA? The preparation steps are finished, now we start going to the main part. First, in order to work with clazz and students tables in the database, we will map the tables and columns of these tables to Java object first (ORM). 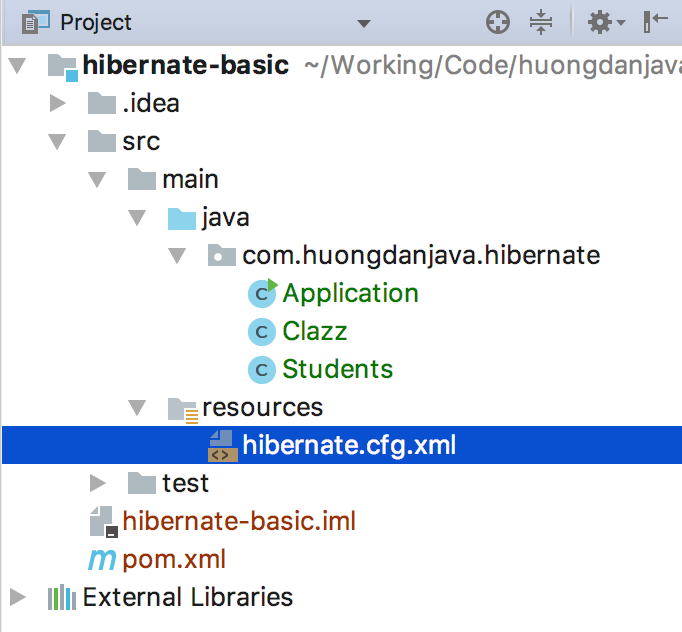 Next, to work with Hibernate we need to have a configuration file. In this file, we will declare the type of database we will use, the information needed for Hibernate to connect to that database, and the Java objects we mapped from the tables in the database. 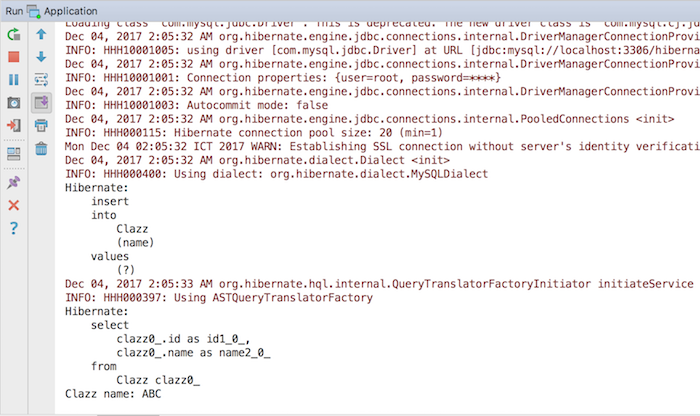 As you can see, the database, username, password, and information about Java objects are detailed in the Hibernate configuration file. In addition, we can also declare additional information such as display SQL statement, SQL statement format, … I will talk more about these in the next tutorial about Hibernate. Normally, we place the Hibernate configuration file in the /src/main/resources/ directory of the project. OK, we already have the configuration file, so now how to put those configurations to use in our project? Hibernate supports us to do that by using the Configuration object to put our configuration into an object that implements the SessionFactory interface. And now we can use the SessionFactory object in our application. And now you can use the Session object to store the Clazz object on the database. Okay, here comes your initial visualization of how we’re going to work with Hibernate, right? In the next article, I will explain some basic concepts for you to know better.